First of all, Welcome to Tyria! * Quickly and easily add friends, block trolls, report bad behavior (anet takes it very seriously), send mail, whisper, etc. by right clicking a name in chat. * Use emotes such as dance, laugh, and cry by typing /dance, /laugh, and /cry into chat. Your character will act them out! * Share things in chat using ctrl+click; or shift+click if you want to add text. Begin with /wiki to search for things. * Hold Alt while moving a stack in your inventory to split it into multiple stacks. You get to choose the amount in the new stack! * Your personal Bank can be accessed in every Major City and Crafting Station. * Show off your fancy face and hairstyle by hiding your helmet. Go to your Equipment Panel and click the check box on the Helmet. * Customize your character through the Hero Panel using Equipment, Outfits, and then Dyes to color it all. * Wardrobe lets you apply Skins to equipment with Transmutation Charges. * Armor/Weapon Skins, Minis, Color Dyes, Outfits and more are unlocked account wide. They can be used by any of your characters! * The red bar beneath your skills appears when a foe is out of range. Move closer until the red bar disappears to be in striking range for that skill. * You get XP for a lot of different actions beyond slaying foes. Reviving characters, Harvesting resources, Mapping the world, Crafting goods, etc. Go Explore! * Everyone who attacks a foe gets XP & loot. It's not shared, and you can't steal the kill or the loot~ \o/ Play Together, Help Out, Get Loot, Have Fun! * Your Characters Enjoy Food, Too! Omnomnom, Eat Up~ It will give you bonuses and extra XP! Got more helpful tips that aren't in the tutorial, but gosh would it help if they were? Maybe you've got an answer for a question commonly asked by new people coming in from other games? Perhaps you've been playing for years, but just recently learned of something that would have saved you many painstaking hours if only someone had told you back then? Please share, and support our growing community! Got a question? You're in the right forums. Adding asterisk(*) after an emote will allow you to sync emotes. Also, the door in Queensdale which says only threatening people may enter, "/threaten" it, it'll open! Some Npcs also react to emotes which can help heart completion, like the lonely cows in the Diessa Plateau. I've been playing for almost 2 years now, didn't know about splitting stacks or the red bar underneath our skill icons indicating casting range until now. Thank you! Ooo, a fun one is the Ornery Crabs. If you threaten them, they will become normal hermit crabs and run away, instead of attacking. I didn't know either of these things, but now I'm curious and want to try it. The crab thing sounds particularly intriguing. The cows in the pasture at Shaemoor Fields in Queensdale can be danced for, to help fill the heart there. They give off love hearts when you do. If u getting downstated often, learn to avoid attacks by dodging. Try out different weapons, traits and playstyles on your class while leveling. So you get a better understanding of classspecific mechaniks and strength or weaknesses of your choosen class. If you join a guild that has its tavern up, head over there and grab one of the buffs from the barkeep. They last 24 hours and are completely free. One of them increases critical crafting chance, which can really help make levelling your crafting skills a little less painful and material-intensive. When levelling a crafting skill, always "refine" your logs/ore/cloth/leather before doing anything else, until doing so no longer gives experience. You'll need a LOT of materials, and refining is the cheapest and easiest way to get crafting experience. Also, when you switch from refining to making things, try to "discover" as many recipes as possible, even ones that are useless to you (pistols or rifles for a ranger, for example) because a discovery gives MUCH more experience than doing the same recipe over and over -- again, saving you time and materials. In the guild panel, you can click on "leave guild hall" to be transported back to where you were before, just as you can use the panel to visit the guild hall from any place in the world. Quick, easy and safe access to a vendor and your bank (via the scribe crafting station) no matter where you are. If you are grouped with other people and their names in the party or squad UI have an empty background, it means they're on a different instance of the map (or on a different map altogether). Right-click someone's name, preferably the party leader or squad commander, and select "Join in (for example) Queensdale" to get into their instance, unless it's at capacity. Note that this works if you are actually on the same map as they are. You can't use this option to teleport to your commander in Queensdale if you are in Lion's Arch. That's 24 hours of play time, not real time. You don't lose the buff when you log out. You can Right-Click on your Salvage Kits to Bulk Salvage stuff. You can Right-Click on Essence of Luck to Consume them all. If you accumulate lots of Bags/Containers and open them later, you can easily bind your Mouse-Wheel to Double-Click (Google) saving the life of your Left-Click button. The best initial Gem investment you can do IMHO is buying a Copper-Fed-Salvage-O-Matic and putting it in Shared inventory slot. Good idea! I was just thinking this morning that the new forum is a great opportunity to start an updated version of this topic! These are like quests in other games - defend this, kill that, collect 10 rats and so on. The difference is they start, continue and finish regardless of whether anyone is joining in or not (and left to themselves the NPCs will most likely fail). They're shown on the map and on the list of stuff on the right side of the screen with orange text and icons. You can jump into an event at any point and leave at any point and (as long as you stay on the map) you'll be rewarded for your participation. Everyone is rewarded individually, so it doesn't matter if you're on your own or if other people join in too. Events give good XP and karma so they're well worth doing. Unlike a lot of games there's not many (6 in total) and all equipment with the same level and tier is equally good - an exotic level 80 Knight's helm you got from a random enemy will have exactly the same stats as one you crafted or got from a dungeon or dropped from a boss. All of which means getting good equipment is relatively easy. At level 80 most people go straight for exotics since it's relatively easy to get so there's no point getting a lower tier set first. They can be bought on the Trading Post with gold, bought from merchants in Orr with karma, crafted, bought with dungeon tokens or WvW badges, found as drops, awarded for completing certain achievements and sometimes bought with special currencies (like the Season 3 map currencies). As mentioned above all of these are equally good so you can mix and match as needed if you can't afford to get a full set through 1 method. It's a good idea to plan ahead because some combinations are only available in specific ways and some are much easier to get from certain places. No sense is grinding crafting up to 400 only to find you could have used dungeon tokens you already had (or grinding a dungeon only to find you could have crafted it because you've already levelled crafts). Ascended is more difficult - it was intentionally designed to be more expensive and time consuming to act as a long-term goal, and since the vast majority of the game is balanced around exotics it's probably not worth getting right away. But if you do want to go for it I strongly recommend doing your research first so you know exactly what you need to do. Legendaries have absolutely identical stats to ascended, the only difference is that you can switch them to any stat combination any time you're out of combat. BUT they're even harder and more expensive to make - they're the ultimate long-term goal in this game so it's worth being certain you like how one looks and you want to use it before you start making them. Ctrl+Right-Click on a weapon skill sets it into automatic mode. Only one skill can be marked at the same time. Usually the first skill of a weapon is marked for auto-attack, but this is not true for most consumable, ambient or heart-quest-related weapons. Hold Ctrl to make neutral (yellow) and hostile (red) nameplates appear. Foes can be seen much earlier and clickables on the ground or elsewhere are much easier to locate. Hold Alt to make friendly nameplates (green, white) appear, including your own. Combine 4 Sigils or Runes of the same Tier to get a rune/sigil of the same Tier (80% chance) or next higher Tier (20%). Combine 1 Fine, 1 Journeyman's, 1 Master Salvage Kit and 3 Mystic Forge Stones to create a Mystic Salvage Kit (250 uses). Shift+Right-Click on a weapon skill sets it into automatic mode. Only one skill can be marked at the same time. Usually the first skill of a weapon is marked for auto-attack, but this is not true for most consumable, ambient or heart-quest-related weapons. It's actually Cntrl+Right-click for me. ;P You can see what you need to press to set an auto-attack by hovering over the skill. It's in the bottom of the pop up box. You can tell if an auto attack is set by the ring of an arrow around the skill box. And for a lot of consumable, heart related, ambient, etc skills, both hitting the downed state and transforming may require you to reset your auto attack. So if you can't figure out why you stopped attacking, watch for that. New players, be sure to check your settings in your options! Lots of handy stuff in there, like keeping name plates (as above) turned on at all times so you can save your fingers (and buttons) some work. Another thing that might be good to know: You will eventually get more than enough hero points to unlock all the skills and specialisations. It's still a good idea to pick ones that sound useful because you'll be quite limited in your options at first, but getting to level 80 gives you enough points to unlock all the core specialisations and all the skills, and you can get more from Hero Challenges around the world (1 per challenge in core maps, 10 per challenge in HoT and presumably PoF). Using skill 4 when downed will heal you slowly and make your character shout out for help. It may sound like just something fancy, but it really can helps others to notice when someone is down nearby and come to your help. The healing will be interrupted as soon as you take a hit so watch out. Using skill 4 when someone is trying to rally you will make the process faster. When you're downed, killing something will also rally you. If you can, locate something nearby with the lowest hp and try to kill it, usually by throwing stones at it with skill 1. It is sometime also a good idea to call your target with ctrl+click if you're in a group to have them assist you killing your target. Downing often in a short amount of time will add a penalty of 25% hp on the next time you down. After downing 4 times in about 1 minutes, the next time will make you die instantly. You can see your level of penalty from a small icon on the bottom right of your health ball after downing. Spending a couple of seconds without downing will degrade the penalty back to none. So watch out for it and take extra precaution if you see your penalty icon is red. It is long to revive someone who is fully dead, especially if you are in combat. When you see downed people, it is great to rally them up as soon as you notice them, but if they're fully dead, you should first finish the combat before reviving them or you risk dying too. Likewise, if you die during a big event like a worldboss on in middle of many monsters, it is better to respawn at the closest waypoint and come back than waiting for someone to revive you. When coming into this game people will tell you that this is a friendly community, but they're not kidding. New players, this really IS the friendliest community out there. If you have a question, literally just ask it in map chat, or in say chat if you're a free player and can only read this forum but not comment on it, or whisper someone by right-clicking on their name and selecting whisper to ask them a question. Especially if you're in a starter zone or a city there are no questions that you think are too 'newbie' and there will be someone who will answer you with the correct information. That is the most helpful hint that I could ever give about this game, that if you need help to simply ask for it, whether it's about the class you're playing or if you need help with an event or jumping puzzle, or if you want to know about PvP, or if you want to know how to tame a pet, or how to get into another zone, or where the last hero point is wherever you are, or whatever it is. If you ask it, people will answer you and genuinely. You can make lifelong friends that way. When I am giving advice to new players I always include "do not do hearts but concentrate on events near them instead, the event will usually advance the heart". Also if NPCs are still talking after events stick around because another event is probably about to start. I would suggest do the Heart tasks AND any Events in the immediate area of a Heart. Also, be sure to speak to the person with Heart before starting for helpful information about completing it, and again afterwards for valuable goods. They become karma merchants. I think you will find a majority of the things you do in nearby events (especially if they involve killing things) will advance the heart. So you will be getting double credit for the actions plus you will complete the heart faster. One other thing I thought I'd mention is the mastery system. If you have leveled your mastery bar fully(bottom of the screen, only after reaching level 80), but do not have enough mastery points to unlock it yet, you can open another mastery line and let it be filling up, so you do not waste experience while earning more mastery points. Always. But I don't think most people realize there is a loss of stats when it breaks, which can turn a frustrating battle into chaos when naked people start falling out dead and no one knows why lol. Edit: reported myself and asked a Mod to edit the mistake. Here are some things to be aware of for when people venture into WvW - need to be at least level 31 (or level 60 if you are using the Free-To-Play). There are 4 main maps: 3 color-coded Borderland maps and the Eternal Battlegrounds(EBG). Each Borderland map is tied to a main world along with its allies. Your home borderland will have a house icon next to it. Blue and Green are Alpine borderlands and use the exact same map layout - only the actual names of locations are different. Red has a Desert borderland. All three borderland maps each have 3 Keeps, 4 Towers, 6 Camps, and a number of sentry locations identified by a pennant. The color of the icon representing each of these locations denotes who controls it - so Blue, Green, or Red. A white icon indicates that no color has yet claimed that point (usually happens right after a server reset). To save time, the Towers and Camps are usually referred to by a compass direction plus T for Tower or C for Camp. So, "SET" would be referring to the SouthEast Tower, "NC" would be North Camp. On the Alpine maps the Keeps are "Bay" for the western Keep, "Garrison" for the center Keep, or "Hills" for the eastern Keep; for the Desert map the western Keep is "Fire", the center Keep is "Stoic Ramparts" and sometimes "Garrison", and the eastern Keep is "Air". The Eternal Battlegrounds is split between each color and has Stone Mist Castle (SMC) in the center. Each color starts with a Keep, four Towers, and two Camps. Also, be aware that chat works a little bit differently. /s[ay] (green), same as PvE, so everyone (your side and all the others) in the immediate vicinity of your character will see what is typed in this chat. This Wiki link has more complete information detailing the WvW experience. Most boss enemies, and some regular enemies have a blue-ish bar under the health bar called a breakbar or defiance bar. This can be permanently displayed, or only appear during/prior to special attacks (it's a grey stripped bar outside these periods). You can reduce this bar immediately by using "Hard CC" (These tend to interrupt opponent's actions - grey icons: Daze, Stun, Knockdown, Knockback, Launch, Pull, Float) or reduce it over time by "Soft CC" (These tend to be conditions - red icons: Fear, Taunt, Immobile, Slow, Chilled, Blind, Cripple, Weakness). @Invisible Pete.7290 and @onevstheworld.2419 those are excellent tips, thank you! While venturing out in Tyria, slow down when you hear an NPC conversing with your player character, or another NPC. Sometimes these conversations will lead into exciting Dynamic Events! Then after the event ends, whether is failure or success, stay around a little because, again, some events chain into another straight afterwards! Should you find yourself caught in an event you can't handle yourself, don't be afraid to broadcast the event and its location in Map Chat. The best way to broadcast an event is to link the nearest Way Point (WP), or failing that, the nearest Point of Interest (PoI), plus a quick note of which direction to go in, and what the event is called/the name of the bad guy being fought. Example: [Waypoint] NW Smash The Bandits! To do this, cntrl+click or shift+click on the WP or PoI from the Map. That will put a link to them in the chat box. Queensdale: When you are in the Godlost Swamp area, head to the Godlost Waypoint and then north-east uphill. You will find a sitting NPC named Tirzie the Painter. If you share the awesome view with her and /sit next to her, you receive a 5 minute lasting regeneration buff. Dredgehaunt Cliffs: When exploring this map, you come across several shrines of animal-spirits. If you /kneel infront of them, you also receive helpful boons which last 5 minutes. The boons are different from shrine to shrine, but stack. Careful with the bear shrine, it tests your strength first. Lonar's Pass: In the center of the map (vertical), east in the mountains is a Point of Interest and a Hero Challenge, both named Grenth's Door. If you /kneel infront of Grenth's statue, you also receive a boon that lasts 5 minutes. Queensdale: In the center of the map, a bit to the east near the Krytan Waypoint you will find the Eldvin Monastry. Most people know this place, as the heart is a bit boring to complete. Inside the Monastry is an NPC named Masterbrewer Desch. He looks like a mix between an Engineer and an Elementalist. He does sell a "Eldvin Monastery Brew of the Month Membership." This thing costs 10 gold, which is a lot for new players. However once this item is purchased and consumed, the quest starts. To progress, you have to play the game and enter a city-map once a month. If you play normal, that happens automatically. Every month he sends you a special brew via mail. Drink it and the quest goes on. When you have done it 12 months = 1 year, you finish the quest. You receive a special title, unique back-pack skin and Aachievement Points. Lion's Arch: When exploring the map, you may come across a Charr with a gigantic spoon on his back, named Legendary Collector Rednax Youngblood. He is located in the Commodore's Quarter and sells an item called "Collectible Spoon Box" for 10 silver. Whenever you complete a heart-quest or come across an NPC vendor, check the goods they sell. If you find a spoon, buy it (both green and blue). It is one of the more tedious quests to complete, but if you start it early, you save yourself a lot of trouble. In the end you receive a Tyrian Mastery Point, which is very useful once you hit level 80, and some AP. Any bar: Whenever you come across a bar in Tyria, the bartender offers a good variety of drinks. Usually they do not have much of a use, aside from blurring your vision. But some of the NPCs sell an item called "Observational Zymology Manual" for 50 silver. Once this is consumed, drinking becomes rewarding. Try out every drink you find in the game in order to complete that quest. It also requires one exotic weapon, which looks like a drink. But you either get it as a drop, craft it or buy it in the end. Rata Sum: Newbies tend to be a little confused in this map, due to its symmetrical architecture. In the lower area of the city, the Auxillary Study Rooms. You may find an NPC named Gastronom Plikk. He sells you "Vintner's Guide" for 1 gold. This is also a drinking-quest, but for vine. Same as with the other, drink as many different drinks as possible. It also has a weapon, which looks like a drink, at the end. But you either get it as a drop, during your adventure, craft it or buy it at the end. Last night a friend asked how to get into Fashion Wars/crafting, so I thought I'd share here. When you go to your bank, there will be three tabs on the lefthand side, top one for your bank, middle one for materials storage, and bottom one for your wardrobe. The wardrobe option will show you just about every skin in the game, whether or not you have it unlocked. Click on a skin and it will show up on your character in a preview window (for weapons the preview window will give you an option to view the weapon by itself). You can preview multiple armor skins + 1 weapon skin at the same time and basically design an entire look here. You can even preview specific dyes on them by finding dyes in the Trading Post, right clicking, and selecting preview. Alternatively, you can find someone pretty running around the game and ask them what they're using. If you click on a player, their name and stuff will show up at the top of your screen. Right click that and you'll find an option to whisper them. Most people will be happy to tell you what skins/dyes they're using, because who doesn't like being complemented on how cool they look? And if you don't want to go through all that effort, you can always just jump on https://gw2style.com and browse until you find something you like. Once you find a skin you like, search for the it on the wiki to find out how to get it. Be sure to look through the whole wiki page, since some things can be obtained multiple ways- like you can get dungeon armor from dungeon vendors, but you can also get them from PvP and WvW reward tracks. Some skins will drop from specific containers, and clicking on those containers will take you to a page that shows what drops those containers, etc. If it's craftable, there's a box in the upper right hand of the page that shows which disciplines can craft it and what level is required, and what the current Trading Post price for it is (if you can buy it on the TP). The crafting ingredients are listed a little further down the page. Seriously, the wiki is your best friend. If you need to level up your crafting, your best bet is a site like http://gw2crafts.net that will show you how to level up cheaply and efficiently, since things like leather can be very expensive to buy. Somewhat related: if you're at all interested in crafting, gather everything you see and save it. It will help you out a lot to have a bunch of materials already in storage. Except for Dragonite Ore, Bloodstone Dust, and Empyreal Fragments. That stuff drops from everything when you hit level 80 and you don't need it for much, so you can safely get rid of that if it starts taking up too much room. The folder where all your screenshots go only holds 999 pics. Then it's "full" and will not take any more pictures. You'll get an in-game message about this when you try to take more. If you don't have time to scrabble and clear out some of your pictures, don't worry! Simply make a New Folder (name it however you like) within your screenshot folder, drag and drop all your current pictures into it, and go back to taking pics. The picture count will start over, and all of your images will be safe and ready for you to sort through when you have free time. You can do this as many times as you like (computer memory space permitting, of course). I recommend creating a shortcut to it on your Desktop. If you are having trouble with lag, frame rates, etc. there are a couple of settings you can change to make life better. Character Model Limit — Controls the total number of character models that may be displayed. Nameplates still appear for all characters. Drop-down options include "Lowest", "Low", "Medium", "High", and "Highest". Character Model Quality — Controls the number of of high-quality character models that may be displayed. Drop-down options include "Lowest", "Low", "Medium", "High", and "Highest". Reducing either or both of these will greatly improve performance, without detracting from the game and environment. 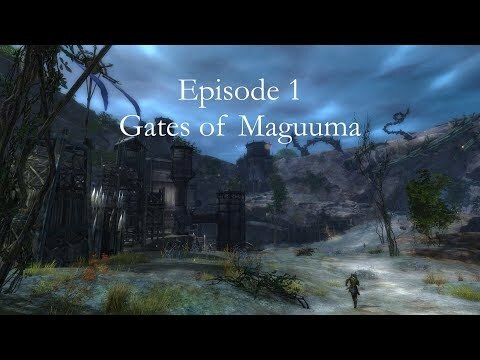 If you don't have the means to purchase the story chapters that are available (seasons 2 + 3 only so far), there are videos on youtube that summarize the events to help players refresh and/or get caught up and start playing the current content. These are fan made, but a lot of work has gone into them by a large community of dedicated players. Thought of another one: It may be helpful -- especially for inexperienced, casual, shy and/or unguilded people -- to find a player-run community and join their organized events. That way you can not only experience world bosses or the big HoT map meta events in experienced company, but also get a feel for what the people and guilds affiliated with the community are like, in case you find yourself looking for a guild. These communities do not require membership, website registration or actively participating in voicechat, though downloading TeamSpeak is pretty much a must for coordination purposes. For example, there's OpenCommunity and GW2Community for the European server region, probably others as well including at least one German-speaking community. I've no clue about North America, though. When you want to take a picture, press CTRL+SHIFT+H to hide the user interface! Using a waypoint within a regular map will cost you some amount of coin related to the distance you're traveling. However, if you're traveling from one waypoint to another in one of the capital cities or Lion's Arch, travel will be free. On the subject of screenshots, I recommend a temporary change to your usual graphic settings and sliding the "Field of View" slider to the left to get a better zoom in angle of your character. On days where we have Event Completer dailies--while it's courteous to call out events to help other players in map chat, it's not required. There is a way to locate events built into the game's options. In General Options, choosing either "Disable Personal Story" or "Events and Personal Story" where the drop-down menu reads "Content Guide" should point you in the direction of a current event if you're in close proximity to one. World boss timers are never for the boss itself - they're for the boss's pre-event(s). Pre-event spawn is always easier to track than the time the boss will spawn. As far as joining Teamspeak, a large portion of the community prefers Discord, and there's still plenty of us that don't use either one. I'm a near deaf player, myself, so voice chat doesn't work for me. My point being that you shouldn't feel locked into doing things one way. They create really great guides and walkthroughs, really swiftly I might add, and became so popular that they got their own character in the game! A question I often see in game is "what's that red symbol thing next to a player's name?". That, dear player, is the Anet logo, and it shows that the person sporting it is a game developer! That's right, the devs play, too. When you see one in Tyria, be sure to take a moment to /wave @ them, and say thanks for the awesome game. Then go on about your business, because just like you, they are there to play. Save the queries and feedback for the forums, unless they ask first. It can be confusing seeing all those vets talking in chat using abbreviations, can't it? Here's a handy list of the abbreviations commonly used by the GW2 community. You'll see this come up in chat during group events a whole lot. Make sure you know what it is, what to do, and how to do it. Everytime I need to complete a jumping puzzle, find my way to a hidden place or want to complete an achievement and don't know how I should do it I just google it. And almost everytime Ayin already made a helpful video about it and her videos are shown on googles first page. I love that girl for all of her videos, she's awesome I would be lost without her! The same can be done for gemstones/marks. The recipe does not work on superior quality rune/sigils and sixth-tier gemstones (Orbs) and marks (Crests). Some norn shrines you can /kneel at for buffs. And statues you can /salute as well. ALT+drag a stacked item to split stacks! Useful if you want to use a certain amount for something (selling or mystic forge). Plan your specialization trees for the early game. However, if you make a mistake, don't worry! At level 80, you'll have enough hero points to unlock all your main skills and traits. You unlock your first trait line at 21, your second at 45, and your third at 71. You unlock your utility skills at 11, 15 and 19; your 'elite' utility skill can be purchased with Hero Points at 31. Rares and exotics will start having a chance to generate ectoplasm on salvage once their required level is at or above 68. At level 80, you'll have enough hero points to unlock all your main skills and traits. By level 80 and from leveling alone, you have enough to unlock all of your main stuff, without collecting more from the map. AND you can continue collecting more, which you will want to do to unlock the elite specialization classes (prestige classes). But even once you have those maxed out, you can continue to collect the points. Many very old characters have hundreds saved up, even after maxing out their traits. So there's no need to stress about which spots to ultimately place your precious points. There are plenty of points. This post has helped me loads - I thank you kind people for writing this! Thank you for letting us know it has. There are numerous encouragements within the game to explore, take detours, and investigate the world, rather than following the herd from point A to point B, most notably an experience boost called "Exploration Bonus". It can be as much as DOUBLE the normal amount of XP for a kill. This is applied when you kill a creature which has been on the map for a long time without being slain. So take the path less traveled!